Take an annual inventory, considering the location, the Scouting jobs and the training needs of individuals. Give special attention to new units and new leaders in existing units, so that training takes place as soon as a new leader starts the job. 2. Build an annual training program. Schedule the district training program for the year based on the inventory. Plan personal coaching for leaders who can't attend group courses. Consult with the commissioner staff to find out how training can meet major unit needs- Consult with the district executive about special training approaches for inner-city areas, remote rural communities, and other special population groups of the district. 3. Develop plans for specific courses. 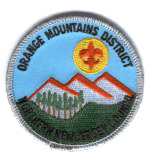 Select and recruit quality trainers that the district is proud to have represent Scouting. Train and organize course instructors. Select adequate training rooms in locations convenient to all units of the district. Gather course lesson plans, training aids, audiovisuals, hand- outs, and other resources for each course. Promote volunteer training recognition awards. Give public recognition for completed courses. Keep individual records of completed training courses. Evaluate the district's training plan, including quality of instruction, attendance, and trainee feedback. 7. Promote Fast Start training. Encourage the commissioner staff to get new leaders in existing units to use Fast Start training. Encourage the membership committee to get unit leaders in new units to use Fast Start training. Note: If the district has a district Exploring committee, the Exploring committee carries out Explorer leader training. If there is no Exploring committee, Explorer leader training is the responsibility of the training committee.